재팬타임스, 한국보수정부의 본격적인 언론탄압 현황 보도 - Newspro Inc.
재팬타임스가 “보수 아베의 비밀보호법은 한국 정부의 언론탄압에 비하면 새 발의 피”라는 제목으로 국경없는기자회 일본 특파원 세가와 마끼꼬와 싱게추뉴스 대표 마이클 펜의 기사를 보도하며, 일본에서 아베 정부가 들어서며 언론의 자유가 약화되고 있음에도 불구하고 한국의 언론탄압에 비교하면 위안을 받을 만한 수준이라고 말했다. 재팬타임스는 한국의 보수주의 정권 새누리당 박근혜 정권의 언론탄압의 본격적인 시발이라고 볼 수 있는 나꼼수에 대한 탄압을 시작으로 탐사보도 주진우 기자와 김어준 정치풍자가가 명예훼손소송에 휘말리게된 내용들을 자세히 언급하고, 이명박 전 대통령의 증권사기를 언급한 나꼼수의 정봉주 전 국회의원에 대한 공격을 시작으로 해서 이제 주진우 기자와 김어준이 박근혜 대통령의 동생 박지만이 친족살인 사건과 연루되었다는 의혹을 언급한 것으로 명예훼손 혐의로 형사 소송에 말려든 것, 그리고 보수언론 조선일보의 기사와 증권가 가십을 이용해 기사를 쓴 가토 산케이 전 서울지국장까지에 대한 언론탄압의 사례들을 상세하게 분석하고 설명했다. 이 기사는 박근혜 정권에 들어서 정권이나 통치자 측근에 대해 비판하는 세력, 즉 정권의 존립기반을 흔드는 것이라고 판단되는 세력에 대해 언론탄압이 더 자주 그리고 더 강하게 이루어지고 있음을 언급하고 고의적으로 권력에 대항하는 세력을 잠재우기 위한 방법으로 검찰이 언론을 겁주고 언론탄압을 지속적으로 그리고 계획적으로 시도하고 있는 현실을 알리고 있으며, 이와 대조적으로 박근혜의 당선을 돕기 위해 국정원이 조직적으로 벌인 불법선거운동이나 문제가 된 산케이 기사의 원조인 조선일보에 대해서는 정부가 아무런 처벌도 없는 불공정한 태도를 보이고 청와대 대변인이 언론탄압의 현실을 오도하는 등의 발언을 했음을 인용 보도한다. 또한 재팬타임스는 한겨레신문이 기사보도로 형사고소까지 받는 것은 부당하다며 가토에 대한 수치스러운 명예훼손 고소를 거두어야 한다고 한 논평도 함께 전하고 있다. 이 기사는 마지막으로 인권옹호를 위한 유엔 특별보고관 우간다 출신의 마가렛 세카기야의 보고서를 언급하여 그녀가 그러한 명예훼손에 대한 기소들에 대해 “정부정책에 비판적인 사람들을 부당하게 처벌하고 피의자들이 다른 권리를 주장할 열쇠가 될 표현의 자유에 대한 기본권을 행사할 여지를 상당히 감소시킨다”고 주장하며, 한국의 명예훼손죄를 특별히 우려가 되는 부분이라고 했다고 언급했다. 그리고 또 “표면상으로는, 한국은 민주주의 국가처럼 보이지만, 요즈음 한국정부는 절묘한 방식으로, 그 모두가 법적, 행정적 체계의 테두리 내에서 언론을 억압하는 체계를 구축하기 시작했다”는 내년 봄 4월경 나올 재판의 결과를 기다리고 있는 가토 전 산케이 서울지국장의 말을 마지막으로 기사를 마무리했다. 이명박 정권부터 시작된 ‘나꼼수’ 진행자들에 대한 언론과 인권탄압을 시작으로 본격화된 한국보수정부의 언론과 인권탄압이 이제 산케이 전 서울지국장 가토 다쓰야의 명예훼손 형사기소로 국제적인 관심과 문제로 비화되고 있다. 본 기사는 이러한 한국 언론탄압의 가장 핵심적인 사건들과 이에 대한 정권의 대응방식과 의도하는 바의 문제점과 우려되는 사항들을 구체적이고 합리적으로 분석 비판하고 있어서 현 한국의 언론탄압 사태를 가장 쉽고 명확하게 파악할 수 있는 기사라고 할 수 있겠다. 다음은 뉴스프로가 번역한 재팬타임스의 기사 전문이다. 산케이신문의 서울 지사에서 11월 12일 가진 인터뷰에서 검찰이 보낸 800 페이지의 서류를 보여주고 있다. 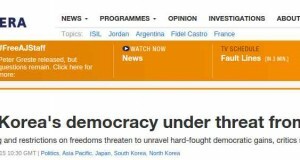 For people concerned with the weakening of press freedoms under the government of Prime Minister Shinzo Abe, its criticism of the liberal Asahi Shimbun and the new state secrets law, there should still be a sense of relief that media suppression in Japan has not quite reached the levels now being seen in South Korea. 일본 총리 아베 신조 정부 하에서 언론의 자유가 약화되는 것, 그리고 진보 신문인 아사히 신문의 이에 대한 비판과 새로운 국가 비밀보호법에 대해 우려하는 사람들에게 그래도 일본의 언론탄압은 현재 한국에서 볼 수 있는 수준만큼은 되지 않고 있다는 것이 어느 정도 위안이 될 수도 있다. Like Japan, South Korea is currently governed by a decidedly conservative regime — that of President Park Geun-hye and her Saenuri Party, known until early 2012 as the Grand National Party. 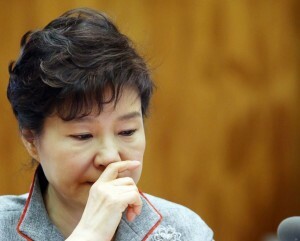 일본과 마찬가지로 한국은 명백한 보수주의 정권, 즉 박근혜 대통령과 2012년 초 한나라당에서 이름을 바꾼 새누리당에 의한 정권에 의해 현재 통치되고 있다. 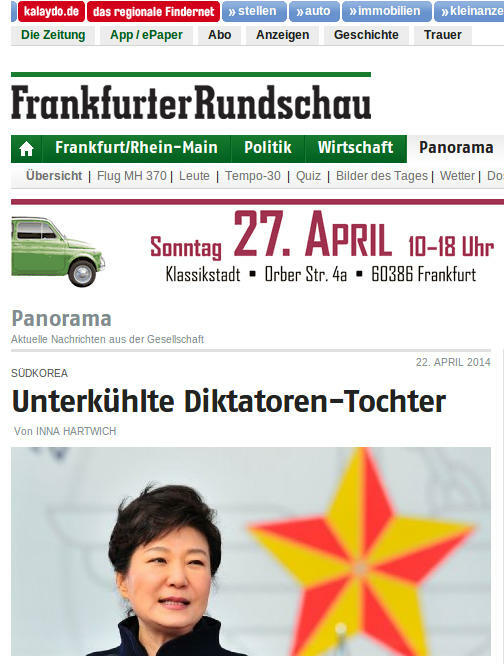 As highlighted in the ongoing defamation trial of the former Seoul bureau chief of the right-leaning Sankei Shimbun, Park has shown intolerance toward public criticism of her government. Her administration is apparently determined to intimidate or even entirely shut down those media outlets that have persistently opposed official policies. 현재 진행중인 우파 산케이신문의 전 서울지국장에 대한 명예훼손 재판에서 나타나듯 박근혜는 자신의 정부에 대한 대중의 비판에 대해 무관용을 보여왔다. 그녀의 정부는 정부정책에 대해 지속적인 비판을 해온 언론기관을 겁주거나 심지어는 아예 없애버리려고 작정한 듯 보인다. Investigative journalist Choo Chin-woo, 41, is at the center of one of the most troubling media suppression cases now underway in South Korea. 41세의 탐사기자 주진우씨는 현재 한국에서 진행되고 있는 가장 문제 많은 언론 탄압 사례의 중심에 있다. Choo said in a recent interview that he has received at least seven death threats on his mobile and office phones from anonymous callers since 2011, when the presidential election kicked off. Although he doesn’t know the source of the threats, he is convinced he is under regular electronic surveillance by government spooks. 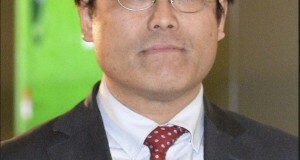 주 기자는 대선이 시작된 2011년 이래 휴대전화와 사무실 전화를 통해 최소 7차례의 살해협박을 익명의 발신자로부터 받았다고 최근 인터뷰에서 밝혔다. 협박을 한 사람을 알지는 못하지만 그는 자신이 국정원의 정기적인 전자감시를 받고 있다고 확신한다. It was not so long ago that Choo and three colleagues— Kim Ou-joon, Chung Bong-ju and Kim Yong-min — were news media superstars. 주진우와 3명의 동료, 김어준, 정봉주, 그리고 김용민은 얼마전까지만 해도 언론계의 수퍼스타였다. 2011년 4월 이 4명은 정치 논평 팟캐스트인 “나는 꼼수다”를 시작했다. The podcast became hugely popular. Downloads reached a rate of more than 2 million a week, making it one of the top Apple iTunes features not only in South Korea, but also globally. 이 팟캐스트는 대단한 인기를 끌었다. 다운로드수가 매주 2백만을 넘으며 한국에서뿐 아니라 전세계에서 가장 인기 있는 애플 아이튠스 아이템 중의 하나가 되었다. What drew in their mass audience was a blend of humor, political commentary and utter irreverence toward the government and big business. In these no-holds-barred podcasts, the hosts mercilessly lampooned the conservative regime of then-President Lee Myung-bak. 일반대중을 매료시켰던 것은 유머, 정치적 논평 그리고 정부와 대기업에 대해 전혀 거침 없는 태도가 복합된 것이었다. 이 거리낌 없는 팟캐스트에서 진행자들은 당시 대통령 이명박의 보수 정권을 사정 없이 웃음거리로 만들었다. But it is also fair to say that if one part of the public was eating it up, then the targets of the satire — the establishment — was enraged by the rise of this comedy team and the subversive political messages it promoted. 하지만 대중의 일부가 이에 심취해 있는 동안 이 풍자극의 대상 -기존 체제-은 이 코미디팀의 인기와 이 팀이 부추기는 체제의 근간을 뒤흔드는 정치적 메시지에 분노한 것도 당연한 일이다. 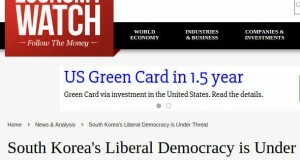 Satirist Kim Ou-joon told the Wall Street Journal in November 2011, “Our goal is to change the government.” He explained that South Koreans had become too educated and too sophisticated to waste any more of the nation’s time on conservative, backward-looking governments like the Lee administration. 정치풍자가인 김어준씨는 2011년 11월 월스트리트저널에 “우리의 목적은 정부를 바꾸는 것이다”고 말했다. 그는 이명박 정부처럼 보수적이고 과거로 회기하는 정부에 국가의 시간을 더 이상 낭비하기에는 한국인들의 교육수준과 지적 수준이 너무나 높아졌다고 설명했다. The first of the four irreverent podcasters to be taken down was Chung Bong-ju, a former lawmaker. He was slapped with a one-year jail sentence for “spreading false rumors” about an alleged stock fraud he accused Lee of engaging in while in office, and was imprisoned at the end of 2011. 4명의 대담한 팟캐스트 진행자 중 첫 번째로 공격을 당한 사람은 전직 국회의원인 정봉주였다. 그는 국회의원 시절 이명박이 증권사기를 쳤다고 비난한 것에 대해 “허위사실 유포” 혐의로 징역 1년을 선고 받고 2011년 말에 투옥됐다. Then in 2012, parliamentary and presidential elections turned out quite contrary to the hopes and expectations of the podcasters, as the conservative Lee administration was replaced by the even more conservative Park administration. 그런 다음 2012년 총선과 대선은 팟캐스트 진행자들의 희망과 기대와는 정반대의 결과를 내며 이명박 정부 후임으로 그보다 훨씬 더 보수적인 박근혜 행정부가 들어섰다. The campaign was often dirty, leading to last year’s indictment of officials of the National Intelligence Service, South Korea’s spy agency, for allegedly engaging in smear campaigns on Twitter to support Park’s election and slander the opposition forces. 선거운동은 종종 공정치 못했으며 지난해 한국의 정보기관인 국정원 관계자들은 박근혜의 당선을 돕고 야당세력을 비방하는 비방 선거운동을 트위터 상에서 벌인 혐의로 기소됐다. With his country’s intelligence agency being what it is, Choo said he used 35 different mobile phones in 2012 to avoid being listened in on during the election campaign period. 주 기자는 한국정보기관이 하는 짓을 감안해서 선거운동기간 동안 도청을 피하기 위해 2012년에 35개의 다른 핸드폰을 사용했다고 말했다. 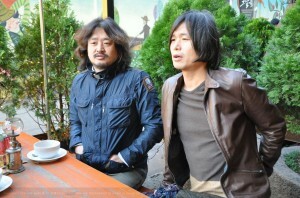 Their fears were quickly realized: Park’s younger brother, Park Ji-man, launched a defamation case in December 2012 against both Choo and Kim Ou-joon, leading to the immediate suspension of their wildly popular podcast and the silencing of what had become perhaps the most effective voice of the political opposition within South Korea’s media world. 그들의 두려워라던 것은 곧 현실로 나타났다: 박근혜의 동생 박지만이 2012년 12월 주 기자와 김어준에 대해 명예훼손 소송을 시작하며 그들의 대단히 인기 있던 팟캐스트는 중지되고 한국의 언론계에서 아마도 야당의 가장 힘 있는 소리가 되고 있던 것이 침묵하게 됐다. 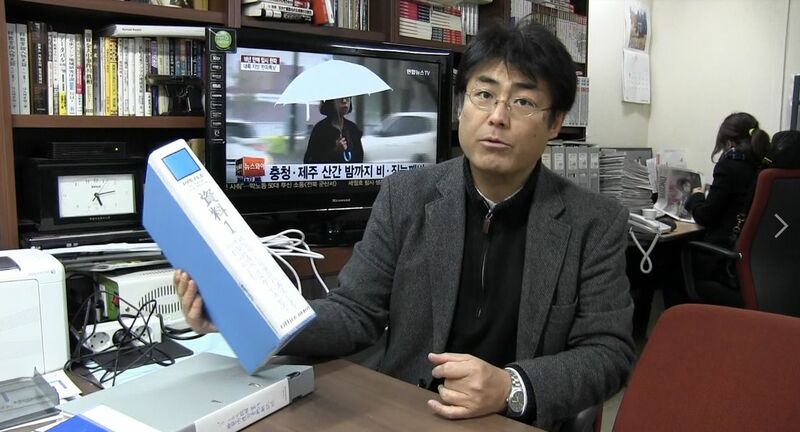 Over the course of 2013, this developed into a criminal case against the journalist and the satirist, once again the charge being that they had “spread false rumors” — this time in connection to their suspicions that Park Ji-man was connected to a murder. 2013년에 걸쳐 이것은 이 기자와 정치풍자가에 대한 형사사건으로 발전되었고 또 다시 “허위사실 유포” 혐의, 이번에는 박지만이 살인과 연루되었다는 그들의 의혹과 관련, 이 혐의를 받게 됐다. Prosecutors are seeking a three-year prison term for Choo and two years for Kim. 검찰은 주 기자에게는 3년 형을 그리고 김어준씨에게는 2년 형을 구형했다. The court’s verdict is expected in January. Even if they are found to be entirely innocent, they will still be liable for paying their own substantial legal fees. 완전히 무죄로 밝혀진다해도 그들은 여전히 상당한 액수의 법정 수수료를 지불해야 한다. Kim, 44, said he believes the purpose of the prosecution is to intimidate the news media. 44세의 김 씨는 검찰의 목적은 언론을 겁주려는 것이라고 믿는다고 말했다. In fact, South Korea’s unusual and harsh laws on criminal defamation have long been controversial, and almost every president has used them to pursue their opponents. 사실 형사법적 명예훼손에 대한 한국의 예외적이고 가혹한 법률은 오랜 동안 논란이 되어 왔고 거의 모든 대통령들이 자신들의 반대자들을 괴롭히는데 이용해왔다. Park Geun-hye is thus engaged in an activity that has many precedents. 따라서 박근혜도 많은 전례가 있는 행위를 한 것이다. What appears to set her government apart, however, is the frequency and intensity with which this tactic is being utilized. The cases against the podcasters hardly represent the only such prosecution going on at the moment, as several larger media outfits are also facing defamation charges from the president and her inner circle. 하지만 그녀의 정부가 차별을 보이는 점은 이 방법이 이용되는 빈도수와 강도이다. 이 팟캐스트 진행자들에 대한 사안들이 현재 진행되는 기소의 전부가 아니고 몇몇 보다 큰 언론매체들 역시 대통령과 그녀의 비선들로부터 명예훼손 혐의를 받고 있다. And now, the case against Tatsuya Kato, Sankei’s former Seoul bureau chief, has added a new, international dimension. 그리고 이제 산케이 전 서울 지국장 가토 다쓰야 사건은 국제적인 국면을 새롭게 더해줬다. 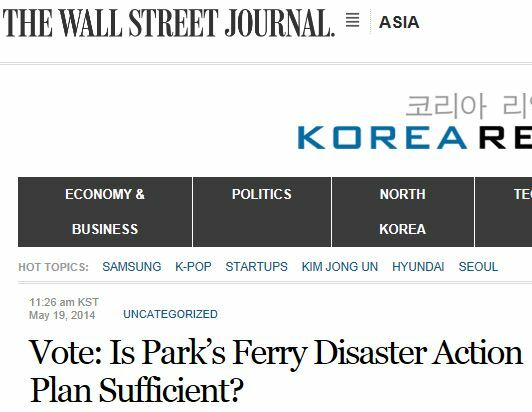 In August, Kato, 48, wrote a column for the Sankei’s website in which he repeated rumors reported in the major South Korean newspaper Chosun Ilbo that President Park was mysteriously missing for several hours on April 16 — the day of the tragic sinking of the ferry Sewol. 지난 8월, 48세의 가토는 산케이 신문 웹사이트에 비극적인 세월호 선박 침몰일인 4월 16일, 박근혜 대통령이 수시간 동안 행방이 묘연했다고 보도한 한국의 메이저 신문사인 조선일보에 보도된 루머를 인용하여 칼럼을 썼다. Kato suggested, quoting from the newspaper and gossip circulating in the stock brokerage industry, that the president was out of communication and “meeting privately” with a male acquaintance. 가토는 조선일보와 증권가에 나도는 가십을 인용해서 대통령이 연락두절 상태였고 한 남성 지인을 “사적으로 만나고 있었음”을 암시했다. The Park government took no action against the Chosun Ilbo, which first produced the story, but it launched a criminal prosecution against Kato, who represents a foreign newspaper that is quite unpopular in South Korea because of its revisionist editorial line on history issues. 김어준은 가토의 경우를 지켜보며, “그들은 분명히 반일감정이 자신들의 진짜 의도를 감추는 마법을 부려줄 것을 희망하며, 자국의 톱 신문사와의 직접적인 갈등을 피하면서 산케이를 고르는 안전한 선택을 했다”고 말했다. Major South Korean newspapers have not taken these prosecutions lying down, and some have even offered a partial defense of Kato. 주요 한국 신문사들은 이러한 형사기소에 가만히 있지 않았고, 일부는 가토에 대해 어느 정도 지지를 보내기까지 했다. The progressive Hankyoreh newspaper, for example, editorialized that while Kato had clearly written “a shoddy, sensational piece,” the president nevertheless “needs to give up her shameful defamation case” against the Japanese reporter. 예를 들어 진보적인 한겨례신문은 가토가 분명히 “조잡하고 선정적인 기사”를 쓰긴 했지만, 그럼에도 불구하고 대통령은 일본기자에 대한 “수치스러운 명예훼손 고소를 거두어야 한다”고 사설논평을 냈다. 그 신문은 “그 기자가 윤리적 기준에 입각해 비난을 받아 마땅하지만 그가 형사기소의 대상이 되어야하는 이유가 없다”고 덧붙였다. The view that such legal cases are problematic and out of step with international standards is reinforced by a June 2013 report by Margaret Sekaggya, then-U.N. Special Rapporteur on the situation of human rights defenders. 그러한 법적 소송은 문제가 있으며 국제 기준과 화합하지 못한다는 견해가 인권활동가인 유엔 특별 보고관 마가렛 세카기야의 2013년 6월 보고서에 의해 강조되어 있다. 세카기야는 그러한 소송은 “정부 정책에 비판적인 사람들을 부당하게 처벌하고 피의자들이 다른 권리를 주장할 열쇠가 될 표현의 자유에 대한 기본권을 행사할 여지를 상당히 감소시킨다”고 주장하며, 한국의 명예훼손죄를 특별히 우려가 되는 부분이라고 언급했다. Kato, now facing up to seven years in prison for the crime of reporting a story he picked up from one of the nation’s leading newspapers, was more full-throated in his criticism in a recent interview. While he is not under arrest, Kato has been banned from leaving the country pending his trial, in which he has pleaded not guilty to defaming the president. 이제 한국의 주도적 신문사들 중 하나로부터 골라낸 이야기를 보도한 죄로 최고 7년의 징역형을 앞두고 있는 가토는 최근의 한 인터뷰에서 이에 대한 비난에 한층 소리를 높였다. 가토는 불구속상태지만, 그가 대통령에 대한 명예훼손에 무죄를 주장하고 있는 재판을 앞두고 한국으로부터 출국이 금지된 상태이다. 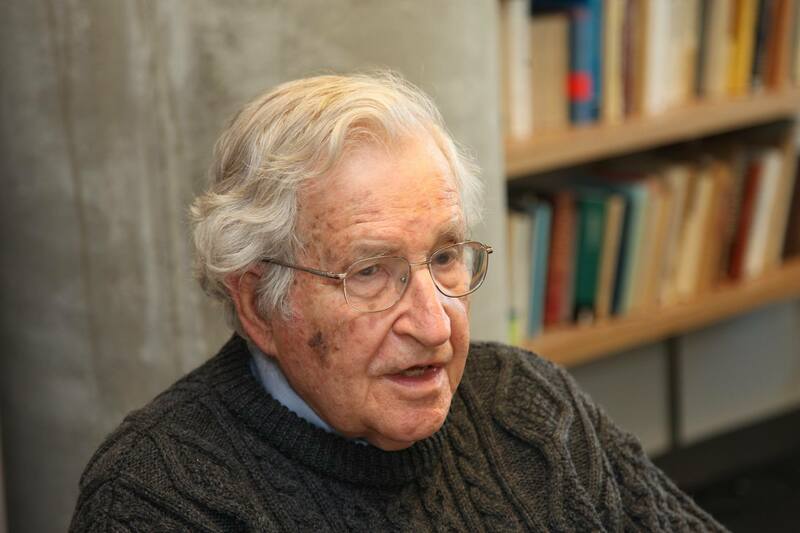 “On the surface, Korea looks like a democratic state, but nowadays the government has begun building a scheme to repress the media in a sophisticated way, all of it within the framework of the legal and administrative system,” he said. “표면상으로는, 한국은 민주주의 국가처럼 보이지만, 요즈음 한국정부는 절묘한 방식으로, 그 모두가 법적, 행정적 체계의 테두리 내에서 언론을 억압하는 체계를 구축하기 시작했다”고 그는 말했다. According to Kato, his trial will continue until around April, with a ruling expected around next spring or early summer. 가토에 의하면, 그의 재판은 4월경까지 계속될 예정이며 판결은 내년 봄 혹은 초여름 경에 나오게 될 것이다. Makiko Segawa is the Japan correspondent for Paris-based Reporters Without Borders and Michael Penn is president of the Shingetsu News Agency. 세가와 마끼꼬는 파리에 기반을 둔 국경 없는 기자회의 일본 특파원이고 마이클 펜은 싱게추 뉴스(新月通信社)의 대표이다. 뉴스프로는 시민들의 깨어있는 힘입니다. 여러분의 자발적인 후원이 뉴스프로를 더욱 깨어있게 합니다. 뉴스프로는 여러분들의 동참을 언제나 환영합니다. 뉴스프로를 후원해 주세요. 뉴스프로는 전문번역가들의 자발적 참여로 이루어진 미국소재 비영리 외신번역전문 언론기관입니다. 뉴스프로는 한국관련 외신을 신속히 번역 홍보하여 독자들에게 국제사회에서 한국관련 이슈들이 어떻게 평가되고 있는지 볼 수 있는 기회를 제공합니다. 비영리 언론, 뉴스프로는 시민들의 깨어있는 힘입니다. 여러분의 자발적인 후원이 뉴스프로를 더욱 깨어있게 합니다. 뉴스프로는 여러분들의 동참을 언제나 환영합니다. 뉴스프로의 기사를 이메일로 구독하실 수 있습니다. 이메일을 적으시고, '구독신청' 버튼을 눌러주세요. 김어준, 주진우 무죄청원에 26,000 이상 서명! !